Don't hit the weight room without the proper gear. STACK has you covered with this list of 12 things to pack in your gym bag. You don't step into the weight room without a lifting plan. It should be the same with your gear. You can certainly get a challenging workout without the gear on this list, but packing it will make your workout safer, more effective or just plain better than if you train without it. It's not an exciting piece of gear, but it's at the top of the list because it could well be the most important. If you consistently head to the gym without securing your gear (not to mention your wallet, phone and keys), it won't remain your stuff much longer. There's no reason not to buy a lock when they're selling for about $5 each. Not the stuff teachers use to scribble assignments on the board. 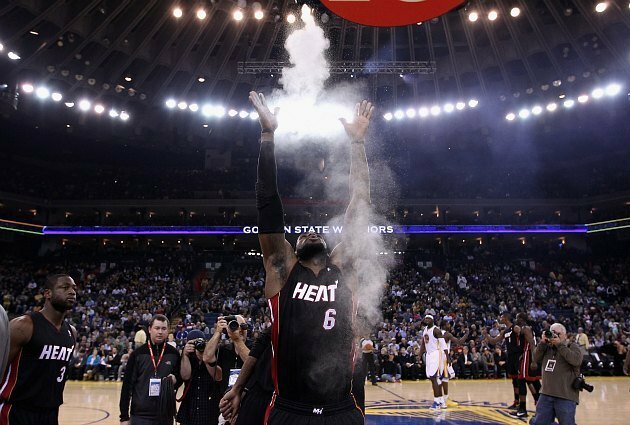 We're talking about magnesium carbonate, that dusty white stuff LeBron James tosses in the air before games. It reduces moisture on your hands from sweat to help you hold onto a heavy bar during a Row, Deadlift, Clean or any other movement that requires a firm grip. This is kind of a no-brainer if you're a lacrosse player, but other athletes should keep one handy, as well. That hard rubber ball can be used to work out kinks and knots in your muscles, and it's more portable than a clunky foam roller. 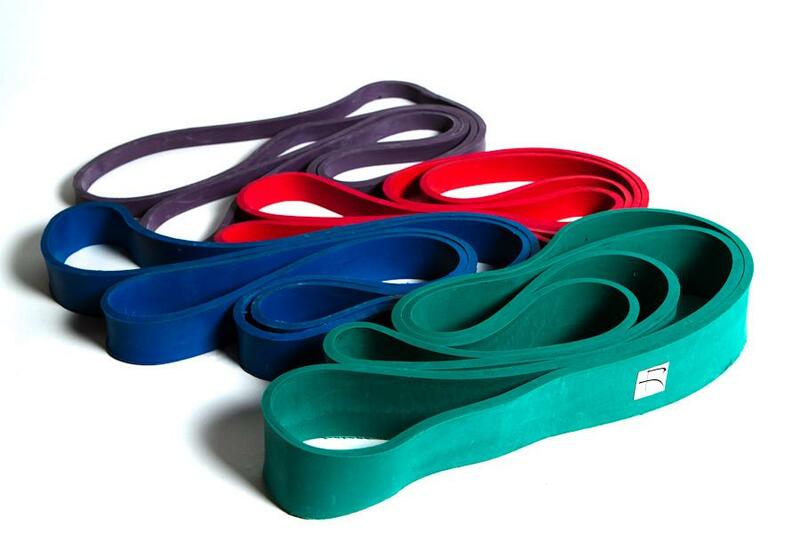 Use it on your upper back after a challenging pulling workout, or on your legs after a session of heavy squats. Aside from the obvious benefit of wiping sweat from your brow, a towel can be used to blast your grip on a variety of pulling exercise, like Pull-Ups and Rows. Make sure your towel isn't flimsy—you don't want it to rip while you're lifting. RELATED: Can You Handle this STACK Fitness Challenge? These aren't as common as the lifting bands flopping around most commercial gyms these days, but they're useful tools in an athlete's arsenal. They can warm up your muscles before a big lift or help you improve your strength in stubborn trouble spots. Toss a few bands of varying resistance into your bag so you can determine which ones work best for you. This one only applies to athletes with long hair, but if your locks flop in your face with every Clean, you're not going to focus on your performance. Tossing a sweatshirt, sweatpants and a beanie over your sweaty clothes (or after a shower) is much more comfortable than walking out in bad weather in dripping gear, or stepping back into your sweaty clothes. You don't need to go out and purchase a stopwatch, since your smart phone probably includes this function. Use it to time rest periods between lifts or sprints through the parking lot. You might not need to tape your ankles while you're lifting, but you can wind this stuff around your palms to prevent the skin on your hands from bruising or tearing during particularly brutal workouts. These need to be in your bag, not on your feet, when you head to the gym. Tracking mud, salt or water onto a gym floor is poor etiquette at best and a danger to other lifters at worst. You don't want to slip on a damp spot with a few hundred pounds loaded on your back. This doesn't mean you can't wear the same sneakers to run and lift, but at least you need to make sure they're clean before you unrack the barbell. It'll be hard to zone in on your lifts if your gym is blasting pop music. Find a playlist that pumps you up and crank the volume when it's your turn to step into the squat rack. Doesn't matter if it's a peanut butter and jelly sandwich, a protein bar, or a ready-to-drink recovery beverage. Just make sure you've got something in your bag, so you can chow down after your workout with critical grams of carbs and protein help you rebuild and replenish your muscles before your next workout.